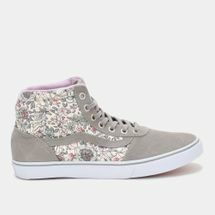 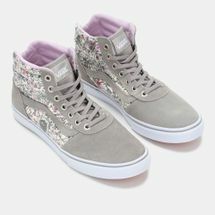 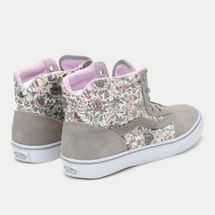 Come full bloom in these Vans Floral Milton Hi-Top Shoes for women. 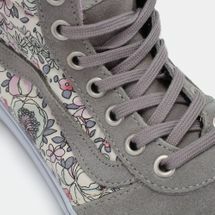 It features a canvas upper with an all-over print and a round toe cap. 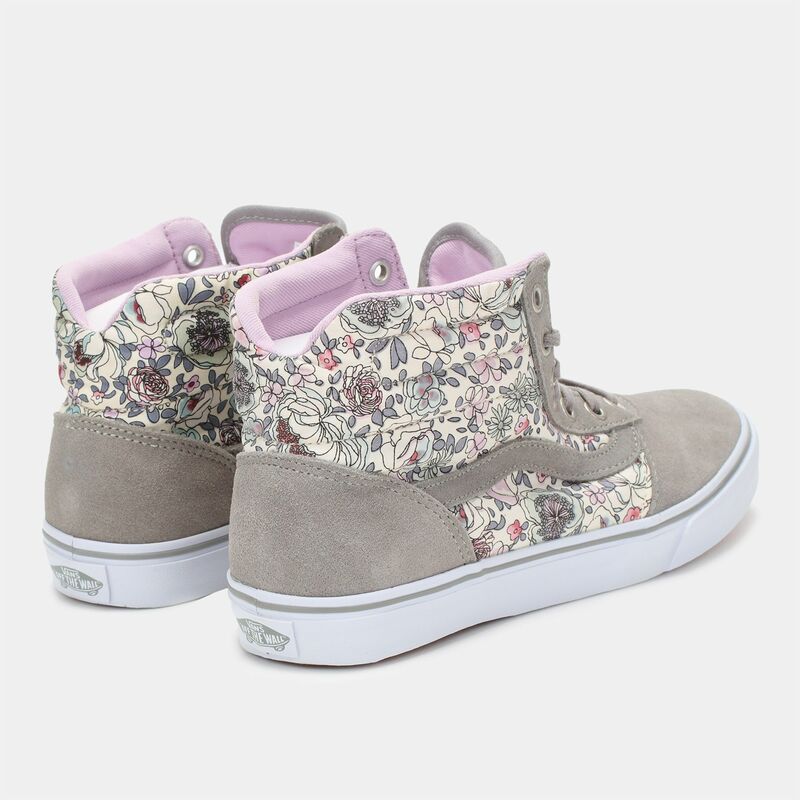 A padded collar, footbed and a canvas inner lining provide comfort, while an EVA midsole enhances cushioning. 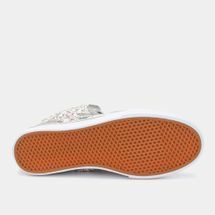 A signature rubber waffle outsole delivers traction.